Today I have this cute Holiday Card for you. I used the speech bubble card sketch and the Snowy Bird file. The first thing I did was add an outline around the main background and then resized it to fit my 6.5 x 5 card base and then I cut it out in red American cardstock, then I cut all the background parts out on DCWV Homemade Christmas stack. I then imported the Snowy Bird file and sized it to fit. I used the pentool and a pazzles onestroke font to add my saying and cut out the speech bubble. I used ribbon instead of paper for the sash piece because I thought it made the card more dimensional. I also popped up the bird and the whole focal piece off the card base. as finishing touches I added holly leaves and a button and some stickles to the leaves and the birds hat and rounded two of the corners on the card base. And now the hard part deciding who gets this card. Here is another great etching project, More Beer mugs, buy the time I'm done everyone in my city will have one, so here is for the High School Football Coaches and team mom. 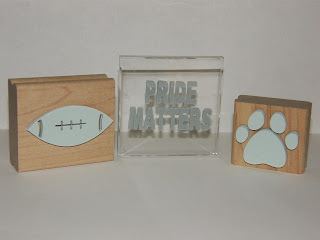 I love being able to customize these with the school motto and year for the coaches and lion paws and her signature XOXO for the team mom it makes the gifts truly just for them. 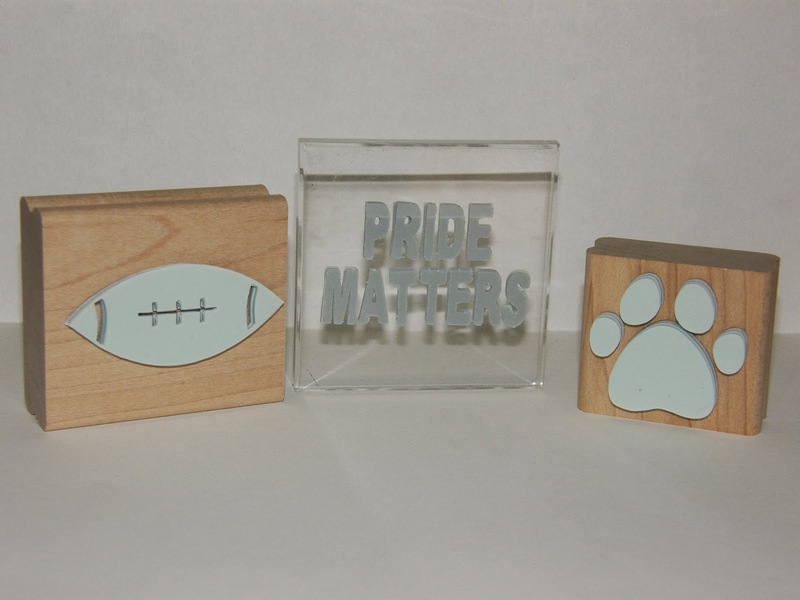 Thanks to my Pazzles Inspiration and I say this again "The Best Cutter Ever" I was able to make these wonderful gifts and it was at a very minimal cost to our banquet budget. 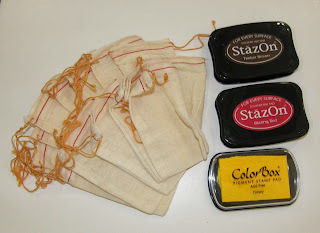 I bought these little muslin bags at a garage sale about 10yrs. ago thinking someday I will do something cute with them, well today is the day. It just so happens my sons school colors are red and gold so this works out great. The First thing I did was pull up my Inspiration Studio Pro Software and make a few stamps, pride matters is the logo as we are the lions. 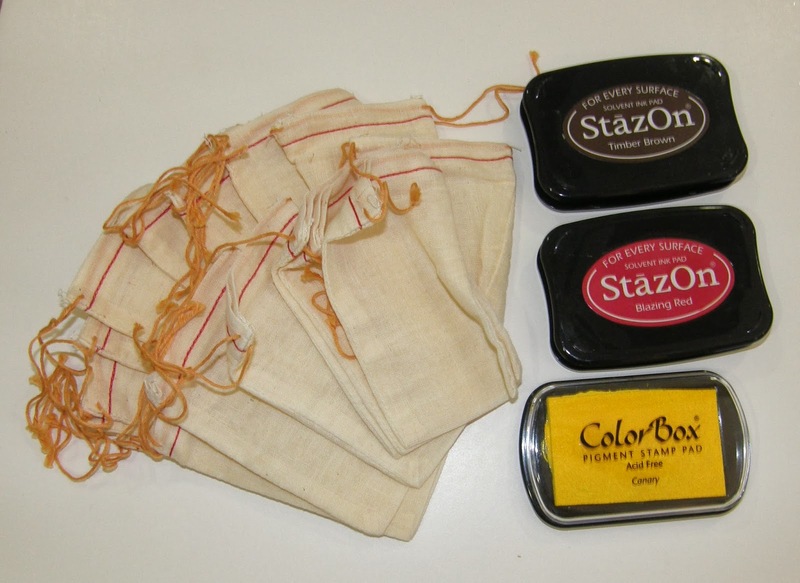 Then my friend Shelly and I stamped all the bags, all 101 of them. 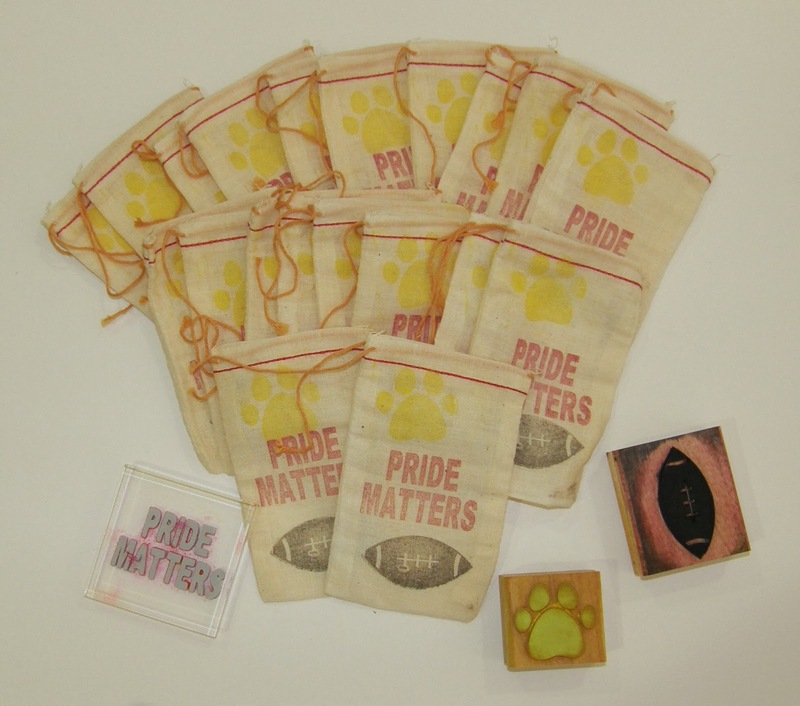 And wala, custom made treat bags for the JV and Varsity football teams in their school colors. All of this made possible by the Pazzles Inspiration and their Stamp Kit .